So, what’s with this whole SQL Server on Linux thing? I’ll be honest, when I first learned about SQL Server on Linux, I didn’t get it. It took like an hour for it to make sense to me. After a week of talking to customers, a lot of whom were super interested in deploying SQL Server on Linux or SQL Server in Docker it just makes even more sense to me. Let’s run down the various use cases, then let’s dive into each one and break them down. Let’s explore each of these a little more, shall we? There’s LOTS of developers out there that when they start a new project they fire up new containers and grab PHP, a database (MySQL, PostgreSQL, etc.) and go to town programming away. Microsoft SQL Server being available for Linux and having it being just a quick docker download (or yum install) away gives them the option of having a full enterprise class database behind their application with a quick, easy 2 minute config that’s like 3 questions, for the same cost in development. And when they go to deploy their application to their users (customers) they have the confidence of telling them that the database they they’ve selected is Microsoft SQL Server, supported by a multi-billion-dollar company which they are probably used to dealing with already. The developer can build their application with confidence knowing that the programming surface is identical between the Linux and Windows versions of the product so they can expect it to react exactly the same no matter if the customer installs it on RedHat, Ubuntu, Docker, or Windows. An interesting potential workload that a car manufacture brought up while I was working the booth at the Microsoft Ignite conference, was small database applications like 3rd party applications, or even 1st party applications but which are typically single core VMs with small memory footprints. Today they take up a large percentage of the VMware farm, and what did I think of moving these into a Linux host running Docker containers and running really small containers (assuming that the CPU and memory were fine). My response, sounds like a great use of the docker deployment of SQL Server on Linux. The docker deployment is going to give you a really thin, really lightweight deployment option as you don’t have to worry about deploying the OS within the VM. In a large host running dozens of containers this could led to some major resource savings. 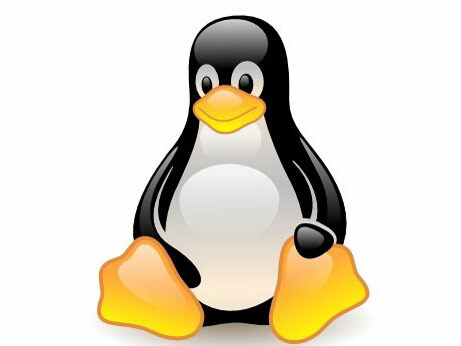 There are lots of companies which are primarily Linux and don’t want to run or manage Windows servers for one reason or another, but they often have to because they need to support SQL Server to support either line of business applications or back office business applications such as HR applications or payroll applications, even if those applications are Java applications running on Linux servers. Now those companies can toss their Windows servers and run Linux OSes that they are used to running and still have the SQL Server database that they need to run their applications. The power to do what you need to do, to run your organization and the flexibility to do it the way that you want to do it without any vendor lock in. It’s like Microsoft has been listening to the Linux community or something (no they aren’t going to open source SQL Server, stop asking). I was shocked the number of people who came to the booth, knowing that I do not work for Microsoft, telling me that this gives them the ability to replace Oracle, MySQL or PostgreSQL in their shops. Most of these companies were primary Linux (or all Linux) server OS shops so suddenly having the flexibility to get out from under the thumb of their Oracle sales rep while staying on their server OS platform of choice, is huge. One customer came up and said that even after the cost of converting their applications from Oracle to SQL Server (which was not going to be cheap), and the cost of paying for the SQL Server licenses, the annual savings was still in the millions because of the Oracle licensing costs. I’m guessing that the Oracle sales guy really isn’t going to like that phone call, but his car is nice enough already. Given that it’s only been out for a few days, that’s good start.